Though, strictly speaking, Georgian architecture could only exist during the reigns of the four Georges, it had its antecedents prior to 1714 and its style of building continued to be erected after 1830, until replaced by later styles named after the then monarch, Queen Victoria, i.e. Victorian. Dublin was for much of its existence a medieval city, marked by the existence of a particular style of buildings, built on narrow winding medieval streets. The first major changes to this pattern occurred during the reign of King Charles II when the then Lord Lieutenant of Ireland, the Earl of Ormonde (later made Duke of Ormonde) issued an instruction which was to have dramatic repercussions for the city as it exists today. Though the city over the century had grown around the River Liffey, as in many other medieval cities, buildings backed onto the river. This allowed the dumping of household waste directly into the river, creating a form of collective sewer. As Dublin's quays underwent development, Ormonde insisted that the frontages of the houses, not their rears, should face the quay sides, with a street to run along each quay. By this single regulation Ormonde changed the face of the city. No longer would the river be a sewer hidden between buildings. Instead it became a central feature of the city, with its quays lined by large three and four-storey houses and classic public buildings, such as the Four Courts, the old Custom House and, later and grander, The Custom House designed, as was the Four Courts, by master architect James Gandon. For his initiative, Ormonde's name is now given to one of the city quays. It was, however, only one of a number of crucial developments. As the city grew in size, stature, population and wealth, two changes were needed. (1) The existing narrow street medieval city required major redevelopment, and (2) major new development of residential areas was required. An example of Georgian opulence. A ceiling from the Dublin townhouse of Viscount Powerscourt, showing the splendour of Georgian decoration. His former townhouse was sensitively turned into a shopping centre in the 1980s. A new body called the Wide Streets Commission was created to remodel the old medieval city. It created a network of main thoroughfares by wholesale demolition or widening of old streets or the creation of entirely new ones. On the north side of the city, a series of narrow streets were merged and widened enormously to create a new street, called Sackville Street (now called O'Connell Street). At its lower end, a new bridge (now called O'Connell Bridge) was erected, beyond which two new streets in the form of a 'V' appeared, known as Westmoreland Street and D'Olier Street. Westmoreland Street in turn led to a renamed Hoggen Green, which became College Green because it faced unto Trinity College Dublin. The new Irish Houses of Parliament, designed by Edward Lovett Pearce, also faced onto College Green, while from College Green a new widened Dame Street led directly down to the medieval Christchurch Cathedral, Dublin, past Dublin Castle and the Royal Exchange, the latter a new building. The Castle began the process of rebuilding, turning it from a medieval castle to a Georgian palace. While the rebuilding by the Wide Streets Commission fundamentally changed the streetscape in Dublin, a property boom led to additional building outside the central core. Unlike twentieth century building booms in Dublin the eighteenth century developments were carefully controlled. The developing areas were divided into precincts, each of which was given to a different developer. The scope of their developments were restricted, however, with strict controls imposed on style of residential building, design of buildings and location, so producing a cohesive unity that came to be called Georgian Dublin. Henrietta Street. The street contains some of the oldest and largest Georgian houses in Dublin. It was converted into tenements in the latter part of the 19th century. Initially developments were focused on the city's north side. Among the earliest developments was Henrietta Street, a wide street lined on both sides by massive Georgian houses built on a palatial scale. At the top end of the street, a new James Gandon building, the King's Inns, was erected between 1795 and 1816. In this building, barristers were trained and earned their academic qualifications. Such was the prestige of the street that many of the most senior figures in Irish 'establishment' society, peers of the realm, judges, barristers, bishops bought houses here. 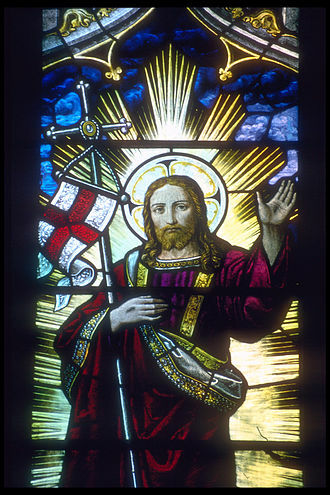 Under the anti-Catholic Penal Laws, Roman Catholics, though the overwhelming majority in Ireland, were harshly discriminated against, barred from holding property rights or from voting in parliamentary elections until 1793. Thus the houses of Georgian Dublin, particularly in the early phase before Catholic Emancipation was granted in 1829, were almost invariably owned by a small Church of Ireland Anglican elite, with Catholics only gaining admittance to the houses as skivvies and servants. Ultimately the north side was laid out centred on two major squares, Rutland Square (now called Parnell Square for Charles Stewart Parnell), at the top end of Sackville Street, and Mountjoy Square. Such was the prestige of the latter square that among its many prominent residents was the Church of Ireland Archbishop of Dublin. Many of the streets in the new areas were named after the property developers, often with developers commemorated both in their name and by their peerage when the received one. Among the streets named after developers are Capel Street, Mountjoy Square and Aungier Street. 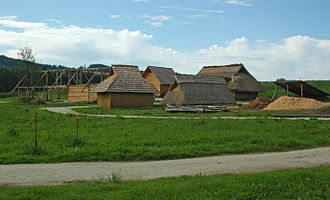 For the initial years of the Georgian era, the north side was the place to live. However, when the Earl of Kildare chose to move to a new large ducal palace built for him on what up to that point was seen as the inferior southside, he caused shock. 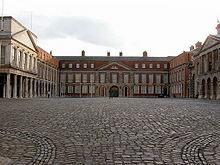 When his Dublin townhouse, Kildare House (renamed Leinster House when he was made Duke of Leinster) was finished, it was by far the biggest aristocratic residence other than Dublin Castle, and it was greeted with envy. The Earl had predicted that his move would be followed, and it was. Three new residential squares appeared on the southside, Merrion Square (facing his residence's garden front), St Stephen's Green and the smallest and last of Dublin's five Georgian squares to be built, Fitzwilliam Square. Aristocrats, bishops and the wealthy sold their northside townhouses and migrated to the new southside developments, even though many of the developments, particularly in Fitzwilliam Square, were smaller and less impressive than the buildings in Henrietta Street. While the wealthier people lived in houses on the squares, those with lesser means and lesser titles lived in smaller, less grand but still impressive developments off the main squares, such as Upper and Lower Mount Street and Leeson Street. 18th century ducal palace built by the Duke of Leinster. Since 1922 it has served as the seat of the modern Irish parliament, Oireachtas Éireann. A surviving Georgian house on St. Stephen's Green, stuck between a Victorian building (picture right) and a 1960s office block (left). Over half the Georgian buildings on St. Stephen's Green having been lost since the Georgian era, with many demolished in the 1950s and 1960s . Although the Irish Parliament was composed exclusively of representatives of the Anglo Irish Ascendency, the established ruling minority Protestant community in Ireland, it did show significant sparks of independence, most notably the achievement of full legislative independence in 1782, where all the restrictions previously surrounding the powers of the new parliament in College Green, notably Poynings' Law were repealed. This period of legislative freedom however was short-lived. In 1800, under pressure from the British Government of Mr. Pitt, in the wake of the rebellion of the last years of the century, which was aided and abetted by the French invasion in support of the rebels Dublin Castle administration of the Lord Lieutenant of Ireland both the House of Commons and the House of Lords passed the Irish Act of Union, uniting both the Kingdom of Ireland and its parliament with the Kingdom of Great Britain and its parliament in London. As a result, from 1 January 1801 Dublin found itself without a parliament with which to draw hundreds of peers and bishops, along with their thousands of servants. 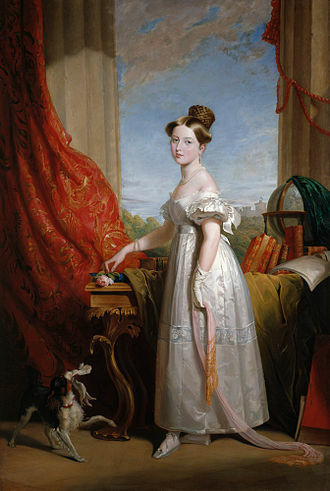 While many did come to Dublin still for the Social Season, where the Lord Lieutenant hosted debutantes balls, state balls and drawing rooms in a period from January until St. Patrick's Day (17 March) every year, many found them less appealing than in the days when they could sit in parliament for a session in College Green. Many of the leading peers, including the Duke of Leinster and Viscount Powerscourt, almost immediately sold their palatial Dublin townhouses, Powerscourt House and Leinster House. Though many still flocked to Dublin every social season, many didn't or went to London. The loss of their revenue and that of their extensive staff hurt the Dublin economy severely. While the 'new' Georgian centres southside continued to flourish, the northside Georgian squares soon fell into squalor, as new owners of the buildings crammed in massive numbers of poor into the former residences of earls and bishops, in some cases cramming an entire family into one old drawing room. Mountjoy Square in particular became run-down, until such was its state and degree of dereliction in the 1980s that it was used as a film set for stories set in post-blitz London and post-war Berlin. The empty shells of the graceful houses, reduced to unsanitary tenements before being demolished in the 1980s, were used as a backdrop for a U2 rock video. Typical Georgian doorways in Dublin's Fitzwilliam Square. In the years after independence in 1922, independent Ireland had little sympathy for Georgian Dublin, viewing it as a symbol of British rule and of the unionist identity that was alien to Irish identity. By this time, many of the gentry who had lived in them had moved elsewhere; some to the wealthy Victorian suburbs of Rathmines and Rathgar, Killiney and Ballsbridge, where Victorian residences were built on larger plots of land, allowing for gardens, rather than the lack of space of the Georgian eras. Those that had not moved in many cases had by the early twentieth century sold their mansions in Dublin. The abolition of the Dublin Castle administration and the Lord Lieutenant in 1922 saw an end to Dublin's traditional "Social Season" of masked balls, drawing rooms and court functions in the Castle. Many of the aristocratic families lost their heirs in the First World War, their homes in the country to IRA burnings (during the Irish War of Independence) and their townhouses to the Stock Market Crash of 1929. Daisy, the Countess of Fingall, in her regularly republished memoirs Seventy Years Young, wrote in the 1920s of the disappearance of that world and of her change from a big townhouse in Dublin, full of servants to a small flat with one maid. By the 1920s and certainly by the 1930s, many of the previous homes in Merrion Square had become business addresses of companies, with only Fitzwilliam Square of all the five squares having any residents. (Curiously, in the 1990s, new wealthy businessmen such as Sir Tony O'Reilly and Dermot Desmond began returning to live in former offices they had bought and converted back into homes.) By the 1930s, plans were discussed in Éamon de Valera's government to demolish all of Merrion Square, perhaps the most intact of the five squares, on the basis that the houses were "old fashioned" and "un-national". These plans were put on hold in 1939 due to the outbreak of World War II and a lack of capital and investment and had been essentially forgotten about by 1945. Lower Leeson Street, Dublin, Ireland. Mock Georgian houses erected in the 1980s and 1990s, where the previous Georgian buildings had been demolished decades earlier. Some destruction of Georgian buildings did still occur despite these circumstances. Mountjoy Square, was under threat when a large amount of property on the south side was demolished by property speculators during the 1960s and 70s; even so, buildings with facsimile facades were subsequently built in place, re-completing the square's uniform external appearance. The world's longest row of Georgian houses, running from the corner of Merrion Square down to Leeson Street Bridge, was divided in the early 1960s to demolish part of the row and replace them with a modern styled office block. By the 1990s, attitudes had changed dramatically. Stricter new planning guidelines sought to protect the remaining Georgian buildings. During this period, a number of old houses in poor repair, which had been refused planning permission, caught fire and burnt to the ground, paved the way for redevelopment. However, in contrast with the lax development controls applied in Ireland for many decades, by the 1990s a changed mindset among politicians, planners and the leaders of Dublin City Council (formerly Dublin Corporation) desired to preserve as much as possible of the remaining Georgian buildings. 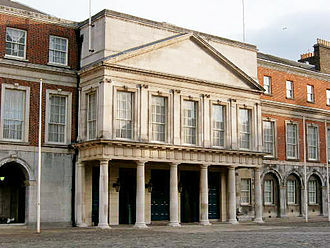 Perhaps the biggest irony for some is that residence that marked the move of the aristocrats from the northside to the southside (where the wealthier Dubliners have remained to this day), and that in some ways embodied Georgian Dublin, Leinster House, home of the Duke of Leinster, ended up as the parliament of independent republican Ireland; but his family also produced the republican leader Lord Edward Fitzgerald. The decision in the late 1950s to demolish a row of Georgian houses in Kildare Place and replace them with a brick wall was greeted with jubilation by a republican minister at the time, Kevin Boland, who said they stood for everything he opposed. 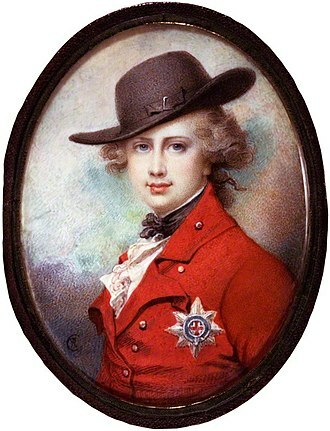 He described members of the fledgling Irish Georgian Society, newly formed to seek to protect Georgian buildings, of being "belted earls". Civic and Ecclesiastical Architecture of Georgian Dublin Collection. A UCD Digital Library Collection. A selection of 35mm slides from the collection of the UCD School of Art History and Cultural Policy, focusing on the civic and ecclesiastical architecture of eighteenth-century Dublin. Domestic Architecture of Georgian Dublin Collection. A UCD Digital Library Collection. A selection of 35mm slides from the collection of the UCD School of Art History and Cultural Policy, focusing on the domestic architecture of eighteenth-century Dublin. James Gandon is today recognised as one of the leading architects to have worked in Ireland in the late 18th century and early 19th century. His better known works include The Custom House, the Four Courts, Kings Inns in Dublin, Gandon was an English architect, born on 20 February 1742 in New Bond Street, London, at the house of his grandfather Peter Gandon, a French Huguenot refugee. He was the son of Peter Gandon, a gunmaker. From 1749 he was educated at Shipleys Drawing Academy where he studied the classics, arts, on leaving the drawing academy he was articled to study architecture in the office of Sir William Chambers. Chambers was an advocate of the evolution of Palladian architecture. However, it was Chamberss palladian and neoclassical concepts which most influenced the young Gandon, in 1765, Gandon left William Chambers to begin practice on his own. His first commission was on Sir Samuel Helliers estate at the Wodehouse, Gandons new practice, whilst successful, always remained small. In about 1769 he entered an competition to design the new Royal Exchange in Dublin. The plan eventually chosen was by Thomas Cooley, Gandons design came second and brought him to the attention of the politicians who were overseeing the large-scale redevelopment of Dublin, one of the largest cities in Europe at the time. During the following years in England, Gandon was responsible for the design of the County Hall in Nottingham, during his English career he was awarded the Gold medal for architecture by the Royal Academy, London in 1768. Thomas Cooley, the architect on that project, had died. The project was completed at a cost of £200,000. This conspicuous commission proved to be the point in Gandons career and Dublin was to become Gandons home. He took a house in Mecklenburgh Street, that he might be near the residence of John Beresford, the newly formed Wide Streets Commission employed Gandon to design a new aristocratic enclave in the vicinity of Mountjoy Square and Gardiner Street. The new classical terraces of large residences became the Town houses of members of the newly built, Gandon designed Carlisle Bridge over the River Liffey to join the north and south areas of the city. Sir Edward Lovett Pearce was an Irish architect, and the chief exponent of palladianism in Ireland. He is thought to have studied as an architect under his fathers first cousin. He is best known for the Irish Houses of Parliament in Dublin, the architectural concepts he employed on both civic and private buildings were to change the face of architecture in Ireland. He could be described as the father of Irish Palladian architecture, following his time in the army, he decided circa 1722, to return to his first career and again began to study architecture, he did this by studying the architectural masterpieces of France and Italy. However it was in the Veneto that he found the style of architecture which was to him most. He made detailed drawings of many of the great villas designed by Palladio which were to serve as the inspiration for his work and he met in Italy the Florentine architect Alessandro Galilei, who was working from afar on a vast grandiose mansion near Dublin – Castletown. About 1725 Edward married Ann, his own first-cousin, daughter of General Thomas Pearce and they were to have four daughters who inherited great-grandfather Pearces manor of Whitlingham by Norwich, Norfolk. Mary, Mrs Lewis Thomas Mrs James Slator but mother of Major-General Lewis Thomas, Mrs Chambre Hallowes, Mrs Benjamin Lake and Henrietta and he remained a Captain in Colonel Clement Nevilles Dragoons. Castletown House is the largest and one of the most important country houses in Ireland, the mansion was commissioned by William Conolly, a self-made man who had risen from humble origins through astute property dealings to become one of the wealthiest and influential men in Ireland. The original plans were drawn by Alessandro Galilei circa 1718, the new mansion was intended to reflect Connolys political power as Lord Justice of Ireland, Galilei though returned to Italy in 1719, having drawn the plans, but not waiting to see building on the Castletown site commence. In fact work was not to start until 1722, for two years, the project seems to have continued unsupervised, until in 1724, it was taken over by the twenty-five-year-old Edward Lovett Pearce. Just returned to Ireland from Italy, it is likely that Pearce had been working on the plans with Galilei there, hence Pierces connection with Castletown probably predates his return to Ireland. Merrion Square is a Georgian garden square on the southside of Dublin city centre. The square was laid out after 1762 and was complete by the beginning of the 19th century. The demand for such Georgian townhouse residences south of the River Liffey had been fuelled by the decision of the Earl of Kildare to build his Dublin home on the undeveloped southside. He constructed the largest aristocratic residence in Dublin, Leinster House, aristocrats and the wealthy sold their northside townhouses and migrated to the new southside developments. Merrion Square is considered one of the citys finest surviving squares, three sides are lined with Georgian redbrick townhouses, the West side abuts the grounds of Leinster House, Government Buildings, the Natural History Museum and the National Gallery. The central railed-off garden is now a public park, the Wellington Testimonial to commemorate the victories of Arthur Wellesley, 1st Duke of Wellington, was originally planned to be located in Merrion Square. However it was built in the Phoenix Park after opposition from the squares residents, until about the 1950s, the houses in the square were largely residential, but today most of them are used for office accommodation. The Irish Red Cross and the Irish Georgian Society have their headquarters on the square, the poet and satirist Oscar Wilde lived at No. 82, and Daniel OConnell at No,58, the latter of which is now known as the OConnell House, home to the Keough Naughton Centre of the University of Notre Dame, an American college. The National Maternity Hospital is on the North terrace, a number of houses in the square have plaques with historical information on former notable residents, including A. E. and Sheridan Le Fanu. Currently, the Embassies of France and Slovakia are based on the side of the square. The earliest plan of the shows a double line of trees around the perimeter which was enclosed by railings in the early years of the 19th century. A Jardin Anglaise approach was adopted for the layout of the park with contoured grass areas, informal tree clumps, sunken curved paths, up until the 1960s the park was only open to residents in possession of a private key. Charles Stewart Parnell was an Irish nationalist politician and one of the most powerful figures in the British House of Commons in the 1880s. Born into a wealthy and powerful Anglo-Irish Protestant landowning family, he entered the House of Commons in 1875 and he was imprisoned in Kilmainham Gaol in 1882 but, a very capable negotiator, was released when he renounced violent extra-Parliamentary action. That same year he reformed the Home Rule League as the Irish Parliamentary Party, the hung Parliament of 1885 saw him hold the balance of power between William Gladstones Liberals and Lord Salisburys Conservatives. His power was one factor in Gladstones adoption of Home Rule as the central tenet of the Liberal Party and his reputation peaked in 1889-90 when letters published in The Times linking him to the Phoenix Park murders of 1882 were shown to have been forged by Richard Pigott. He headed a minority faction until his death in 1891. Gladstone described him as, I do not say the ablest man, I say the most remarkable and the most interesting. Liberal leader H. H. Asquith called him as one of the three or four greatest men of the 19th century, while Lord Haldane described him as the strongest man the House of Commons had seen in 150 years. Taylor says, More than any man he gave Ireland the sense of being an independent nation. 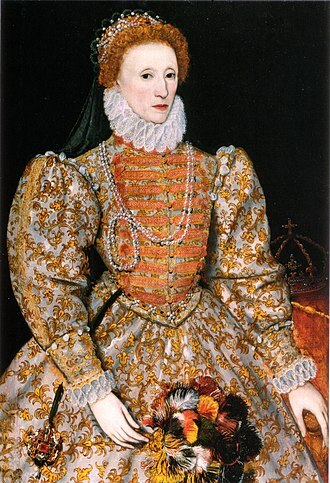 There were eleven children in all, five boys and six girls, admiral Stewarts mother, Parnells great-grandmother, belonged to the Tudor family, so Parnell had a distant relationship with the British Royal Family. The family produced a number of figures, including Thomas Parnell. Parnells grandfather William Parnell, who inherited the Avondale Estate in 1795, was a liberal Irish MP for Wicklow from 1817–1820, yet it was as a leader of Irish Nationalism that Parnell established his fame. Parnells parents separated when he was six, and as a boy he was sent to different schools in England and his father died in 1859 and he inherited the Avondale estate, while his older brother John inherited another estate in Armagh. Lord Lieutenant was the title of the chief governor of Ireland from the Williamite Wars of 1690 till the Partition of Ireland in 1922. 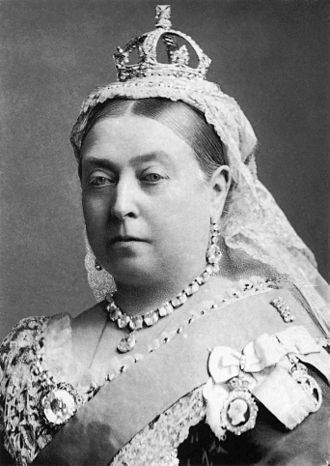 This spanned the Kingdom of Ireland and the United Kingdom of Great Britain, the office, under its various names, was often more generally known as the viceroy, from the French vice roi or deputy king, and his wife was known as the vicereine. The government of Ireland in practice was usually in the hands of the Lord Deputy up to the 17th century, although in the Middle Ages some Lords Deputy were Irish noblemen, only men from Great Britain, usually peers, were appointed to the office of Lord Lieutenant. 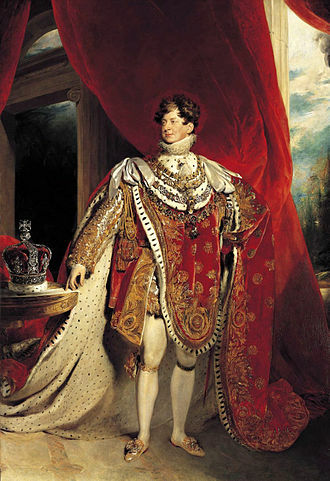 The Kings representative possessed a number of overlapping roles and he was the representative of the King, the head of the executive in Ireland, a member of the English or British Cabinet, the font of mercy and patronage, commander-in-chief in Ireland. 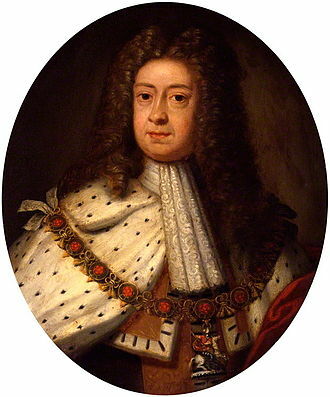 His Government exercised effective control of parliament through the exercise of the powers of patronage, namely the awarding of peerages, baronetcies. Critics accused successive viceroys of using their power as a corrupt means of controlling parliament. On one day in July 1777, Lord Buckinghamshire as Lord Lieutenant promoted 5 viscounts to earls,7 barons to viscounts, under-Secretary for Ireland, The head of the civil service in Ireland. 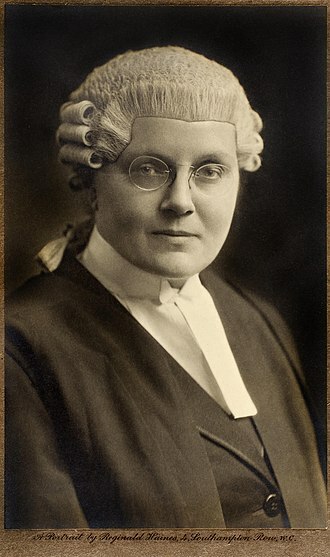 Lord Justices, Three office-holders who acted in the Lord Lieutenants stead during his absence, the Lord Justices were before 1800 the Lord Chancellor of Ireland, the Speaker of the Irish House of Commons, and the Church of Ireland Archbishop of Armagh as Primate of All Ireland. Lords Lieutenant were appointed for no set term but served for His/Her Majestys pleasure, in reality that meant for as long as wished by the British Government. Where a ministry fell, the Lord Lieutenant was usually replaced by a supporter of the new ministry, until the 16th century, Irish or Anglo-Irish noblemen such as the 8th Earl of Kildare and the 9th Earl of Kildare traditionally held the post of Justiciar or Lord Deputy. 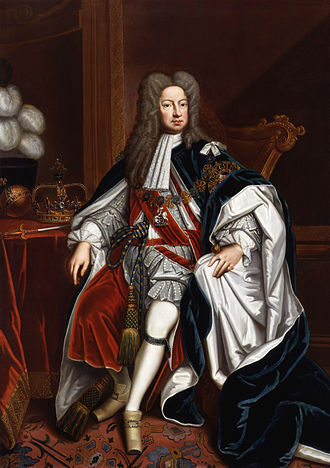 Following the plantations, noblemen from Great Britain were given the post, the last Irish Catholic to hold the position was Lord Tyrconnell from 1685–91, during the brief Catholic Ascendancy in the reign of James II that was ended by the Williamite war in Ireland. Until 1767 none of the latter lived full-time in Ireland, instead they resided in Ireland during meetings of the Irish Parliament. However the British cabinet decided in 1765 that full-time residency should be required to enable the Lord Lieutenant to keep a eye on public affairs in Ireland. The office was restricted to members of the Anglican faith, the first Catholic appointed to the post since the reign of the Catholic King James II was in fact the last viceroy, Lord FitzAlan of Derwent, in April 1921. His appointment was possible because the Government of Ireland Act 1920 ended the prohibition on Catholics being appointed to the position, FitzAlan was the only Lord Lieutenant of Ireland ever to hold office when the former Ireland was partitioned into Southern Ireland and Northern Ireland. The post ebbed and flowed in importance, being used on occasion as a form of exile for prominent British politicians who had fallen foul of the Court of St. Jamess or Westminster, on other occasions it was a stepping stone to a future career. It is situated in Dublin, and is the elder of the capital citys two medieval cathedrals, the other being St Patricks Cathedral. Christ Church is officially claimed as the seat of both the Church of Ireland and Roman Catholic archbishops of Dublin, in law, and in fact it has been the cathedral of only the Church of Irelands Archbishop of Dublin, since the English Reformation. Though nominally claimed as his cathedral, the Roman Catholic Archbishop of Dublin uses St Marys in Marlborough Street in Dublin as his pro-cathedral, Christ Church Cathedral is located in the former heart of medieval Dublin, next to Wood Quay at the end of Lord Edward Street. As a result, the cathedral now appears dominant in isolation behind new civil offices along the quays, in recent years the Cathedral has offered a great set for Medieval Dramas such as the CWs hit drama Reign. The Main Building of Christchurch Cathedral was used to film pivotal moments in the dramas pilot, Christ Church is the only one of the three cathedrals or acting cathedrals which can be seen clearly from the River Liffey. The cathedral was founded sometime after 1028 when King Sitric Silkenbeard. The church was built on the ground overlooking the Viking settlement at Wood Quay and Sitric gave the lands of Baldoyle, Raheny. 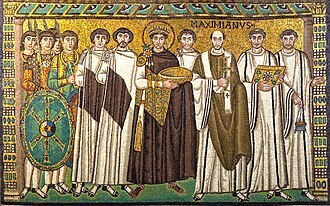 The cathedral was staffed by secular clergy. 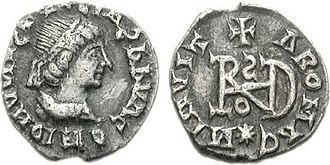 The second Bishop of Dublin introduced the Benedictines, Henry II attended the Christmas service at the cathedral in 1171. According to the cathedral guidebook this was the first time Henry received Holy Communion following the murder of Thomas Beckett by Henrys knights in Canterbury, Edmund and St. Mary and St. Lô. A chapel to St Laurence OToole was added in the 13th century and its design was inspired by the architecture of the English western school of Gothic, and its wrought stones- of a Somersetshire oolite- were sculpted and laid by craftsmen from the same area. In the 1350s a major extension was undertaken by John de St Paul, by 1358, the nave of the cathedral was partly in use for secular purposes and a long quire was added, extending the old choir area by around 10 metres. The City Hall, originally the Royal Exchange, is a civic building in Dublin, Ireland. It was built between 1769 and 1779 to the designs of architect Thomas Cooley and is an example of 18th-century architecture in the city. Located at the top of Parliament Street on the southern side, it stands next to Dublin Castle. The street had been built in 1753, providing a continuation of Capel Street on the bank of the Liffey, across the newly widened Essex Bridge. The external structure is made out of white Portland stone from a quarry in Dorset. The function of the building was to provide a place for Dublins businessmen. It was close to the Customs House that stood on the site of todays Clarence Hotel, in the 18th century, meetings were held in South William Street. In 1815 the metal balustrade of the fell, owing to the pressure against it by a crowd. This led to restrictions in the building. In the 1850s, the City Corporation bought the Royal Exchange, the changes included partitions around the ambulatory, the construction of a new staircase from the Rotunda to the upper floors and the sub-division of the vaults for storage. On 30 September 1852, the Royal Exchange was renamed City Hall at the first meeting of Dublin City Council held there, a series of frescos were added, representing the regions of Ireland. During the 1916 Easter Rising, the City Hall was used as a garrison for the Irish Citizen Army, Sean Connolly seized the building using a key which he obtained as he worked in the motor department and had access to the building. There were 35 people based here, mostly women and it was in this area where the first casualty of the rising, a guard named James O’Brien, occurred at Dublin Castle and he was shot by Sean Connolly while on duty. In total, the siege lasted about 12 hours. The building was restored to its 18th-century appearance at the beginning of the 21st century, most Dublin City Council staff are located in the relatively new and controversial Civic Offices, built from 1979 on the site of a national monument, the Viking city foundations on Wood Quay. Dublin Corporation itself was renamed in the early 21st century as Dublin City Council. Following the failure of the senior line of the Butler family, he was the second of the Kilcash branch to inherit the earldom. His friend, the 1st Earl of Strafford, caused him to be appointed the commander of the Cavalier forces in Ireland, from 1641 to 1647, he led the fighting against the Irish Catholic Confederation. From 1649 to 1650 he was the commander of the Royalist forces in the fight against the Cromwellian conquest of Ireland. 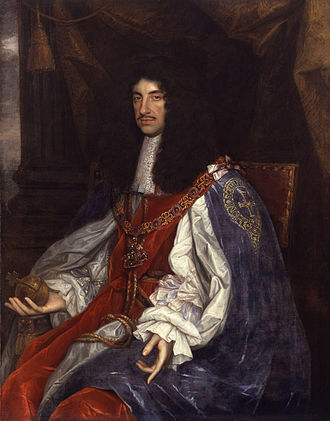 In the 1650s he lived in exile in Europe with King Charles II of England, upon the restoration of Charles to the throne in 1660, Ormonde became a major figure in English and Irish politics, holding many high government offices. 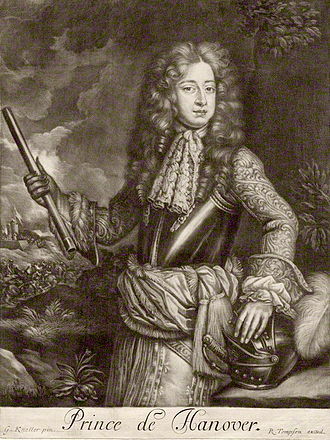 James Butler was the eldest son of Thomas Butler, Viscount Thurles and of Elizabeth, Lady Thurles and his sister Elizabeth married Nicholas Purcell, 13th Baron of Loughmoe. Jamess paternal grandfather was Walter Butler, 11th Earl of Ormond and he was born at Clerkenwell, London,19 October 1610, in the house of his maternal grandfather, Sir John Poyntz. Shortly after his birth, his parents returned to Ireland, the Butlers of Ormonde were an Old English dynasty who had dominated the southeast of Ireland since the Middle Ages. Upon the shipwreck and death of his father in 1619, the lad was by courtesy styled Viscount Thurles. It was not long before James I of England, anxious that the heir of the Butlers should be brought up a Protestant, placed him at Lambeth, under the care of George Abbot, archbishop of Canterbury. The Ormond estates being under sequestration the young Lord had but £40 a year for his own and his servants clothing and he appears to have been entirely neglected by the Archbishop — he was not instructed even in humanity, nor so much as taught to understand Latin. When fifteen he went to live with his grandfather at Drury-lane who through length of his confinement and his age, was grown very infirm. 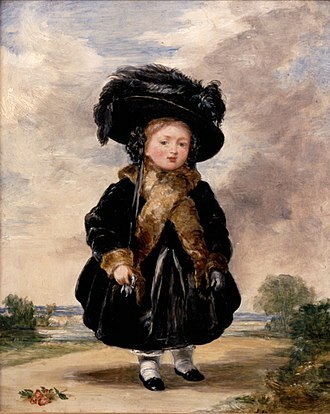 This was very important for Butlers future life, as it meant that, unlike almost all his relatives in the Butler dynasty, having now more means at command, he entered into all the gaieties of the court and town. Parnell Square is a Georgian square sited at the northern end of OConnell Street, and west of Mountjoy Square, in the city of Dublin, Ireland. Formerly named Rutland Square, it was renamed after Charles Stewart Parnell, as was Parnell Street, surrounded on three sides by terraces of original intact Georgian houses, much of the southern part of the square and its centre is taken up by extensions of the Rotunda Hospital. The Garden of Remembrance is located along the side of this area. Its main entrance is on the side of the square. In the south corner of the square, where it meets with OConnell Street, is sited the Gate Theatre. Extensive pleasure gardens, subsequently forming the body of the square, were located to the rear of the hospital in the original development, the Hugh Lane Gallery is on the north side of the square. It was erected in cut stone by Lord Charlemont to a design by William Chambers during the Georgian period, on this side is the Dublin Writers Museum and the Irish Writers Centre. One of Dublins most acclaimed restaurants, Michelin Star since 2007, on the south side of the square is Conways bar, outside of which Pearse surrendered to the British Army after the 1916 Easter Rising. The political party Sinn Féin has its Dublin head office and shop on the side of the square. The western side is known for offices of a number of trades unions, on the western side is the St. Martins Apostolate office, which includes a small basement chapel. The St. Martins Apostolate office is known in Dublin for its moving crib that is open to the public each Christmas. No 5 – Birthplace of Oliver St John Gogarty, surgeon, a friend of Michael Collins and the writers WB Yeats and James Joyce, Gogarty was unwillingly immortalised as Buck Mulligan in the Ulysses. From the early 1920s until the early 1930s No 5 served as headquarters of Cumann na nGaedheal, No 9 Cavendish Row – Dr Bartholomew Mosse and surgeon. Mosse lived here, having originally hailed from Portlaoise and he founded the Rotunda Hospital, located in the square and which was built to designs of Richard Cassels between 1751 and 1757. Henrietta Street is a Dublin street, to the north of Bolton Street on the north side of the city, first laid out and developed by Luke Gardiner during the 1720s. A very wide relative to streets in other 18th-century cities. The nearby Bolton Street is named after Paulet, henrietta Street is the earliest Georgian Street in Dublin, and at the forefront Dublins Georgian streetscapes. Construction on the street started in the mid-1720s, on land bought by the Gardiner family in 1721, Construction was still taking place in the 1750s. Gardiner had a mansion, designed by Richard Cassels, built for his own use around 1730, the street fell into disrepair during the 19th and 20th centuries, with the houses being used as tenements. A number of houses on the street remained in use as tenements until the 1970s, in the late 20th and early 21st centuries, the street has been subject to restoration efforts. As of 2017, there are 13 houses on the street, the street is a cul-de-sac, with the Law Library of Kings Inns facing onto its western end. St Stephens Green is a city centre public park in Dublin, Ireland. The current landscape of the park was designed by William Sheppard and it is often informally called Stephens Green. At 22 acres, it is the largest of the parks in Dublins main Georgian garden squares, others include nearby Merrion Square and Fitzwilliam Square. These four bordering streets are called, respectively, St Stephens Green North, St Stephens Green South, St Stephens Green East, until 1663 St Stephens Green was a marshy common on the edge of Dublin, used for grazing. In that year Dublin Corporation, seeing an opportunity to raise much needed revenue, decided to enclose the centre of the common, the park was enclosed with a wall in 1664. The houses built around the Green were rapidly replaced by new buildings in the Georgian style, much of the present-day landscape of the square comprises modern buildings, some in a replica Georgian style, and relatively little survives from the 18th and 19th centuries. In 1814 control of St Stephens Green passed to Commissioners for the local householders and he paid for the laying out of the Green in approximately its current form, which took place in 1880, and gave it to the Corporation, as representatives of the people. By way of thanks the city commissioned a statue of him and his brother Edward lived at Iveagh House, which his descendants gave in 1939 to the Department of External Affairs. They numbered between 200 and 250 and they confiscated motor vehicles to establish road blocks on the streets that surround the park, and dug defensive positions in the park itself. This approach differed from that of taking up positions in buildings, finding themselves in a weak position, the Volunteers withdrew to the Royal College of Surgeons on the west side of the Green. During the Rising, fire was halted to allow the parks groundsman to feed the local ducks. The park is now operated by the Office of Public Works on behalf of the Irish state, the landscaping of the park has undergone three major changes since its inception. Its first major change occurred in 1670, two rows of trees were planted around the perimeter, functioning as its first enclosure. At this time, the park was accessible to the wealthy residents who owned plots around the park. One of the surviving medieval towers at Dublin Castle. To its left is the Chapel Royal. O'Connell Monument, the memorial to Daniel O'Connell, the 19th century nationalist leader, by sculptor John Henry Foley, which stands at the entrance to the street named after him. View from the south side to the north side with the spire in the background. Straight on or left or right to Westmoreland Street only. A busy scene from the 1930s with Dublin United Tramways Company trams. Trinity College faces onto College Green. Crowds gather on College Green to see U.S. President Barack Obama in 2011. Statue of William of Orange on College Green, erected in 1701. It was badly damaged in an explosion in 1928, and removed in 1929. The Book of Kells is the most famous of the volumes in the Trinity College Library. Shown here is the Madonna and Child from Kells (folio 7v). Christ Church Cathedral, Dublin, Ireland, 1914. Patrick Pearse attended meetings in Mountjoy Square in planning the 1916 Easter Rising, of which he was a leader. Dublin tramways running through Parnell Square and O'Connell Street in the Edwardian era. The upper portion of the obelisk. A castle, the symbol of the rule of aristocracy in medieval Europe (Krásna Hôrka in Slovakia). Nawab Sir Khwaja Salimullah, zamindar of Dhaka.